For all things ambience, delay and reverb pedals are your go to. 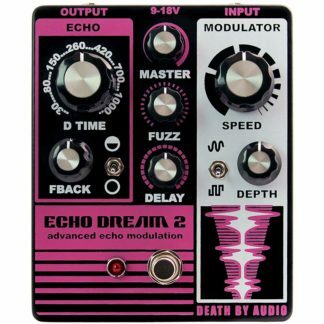 Delay and reverb were initially achieved through recording techniques and microphone placement in ambient spaces and echo chambers. This initially evolved into these effects being designed as studio equipment, then later being built into amplifiers before finding their way into guitar pedals. Over the years there have been classic tape delay models such as the Roland Space Echo, Echoplex and Binson Echorec. 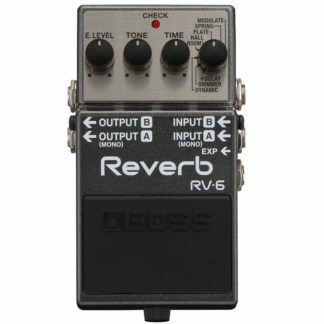 As technology evolved, pedal manufacturers were able to emulate these sizeable effects in stompbox format through the use of analog chips. 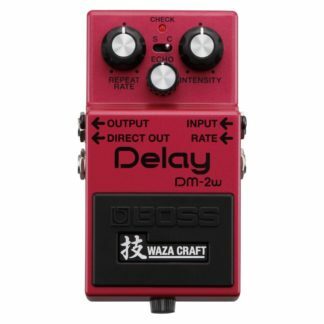 Models such as the Electro Harmonix Deluxe Memory Man and Boss DM-2 were all of a sudden being used by guitarists far and wide to achieve delay sounds on stages and studios across the world. As digital technology began to become attainable, the spring reverbs of amplifiers, as well as hall and plate reverbs used in studios were now able to be emulated in pedal form and their trajectory began. 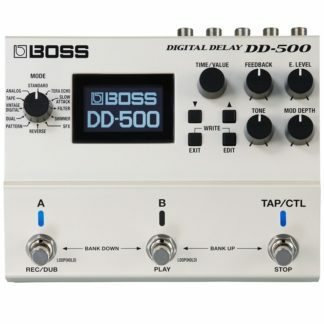 Since their beginnings, many digital and analog delays and reverbs have been used as the integral part of the sound of countless guitar players. Guitarists such as The Edge, Kevin Shields, David Gilmour and more have become so synonymous with these sounds that it’s impossible to think of their guitar playing without the use of delay and reverb. 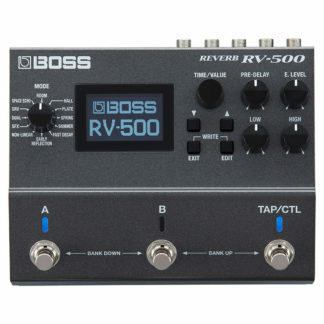 Our range includes classic models from Boss and Electro Harmonix as well as more recent introductions including the MXR Carbon Copy, Electro Harmonix Holy Grail, Strymon Big Sky, Earthquaker Devices Avalanche Run and countless others. Browse the range online or pop by our store in Melbourne to try them out.